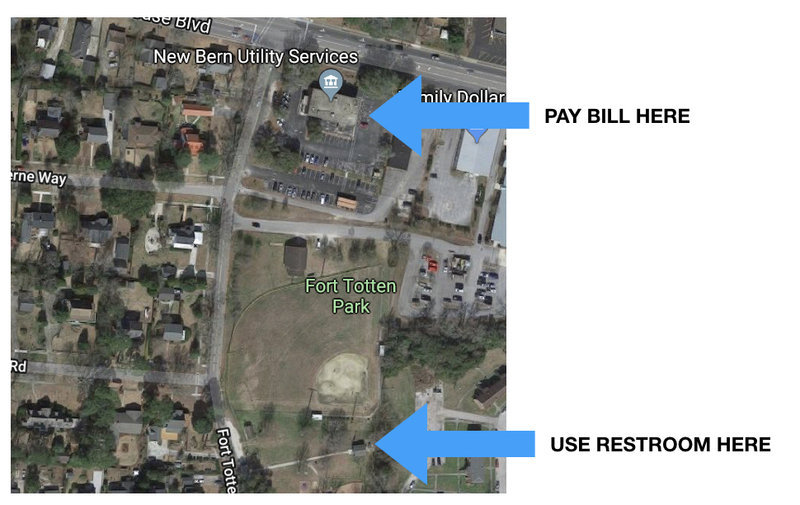 New Bern aldermen and the mayor will hold a special meeting on Wednesday, one day after the Board of Aldermen’s regular meeting, to discuss a proposed redevelopment agency and controversial utility deposits. The special meeting will start at noon Wednesday in the City Hall Courtroom. This meeting was scheduled separately from the board’s regular meeting due to the complexities of the two issues. Aldermen and the mayor have been looking at forming a redevelopment agency to solve problems of urban decay in the Five Points area. The utility deposit program, initiated by the previous Board of Aldermen shortly after it was seated, imposes deposits on utility customers who have struggled to keep current with their bills. APRIL 10, 2018 – 6:00 P.M.
1. Meeting opened by Mayor Dana E. Outlaw. Prayer Coordinated by Alderman Kinsey. Pledge of Allegiance. 4. Consider Approving a Proclamation for National Day of Prayer 2018. 5. Consider Approving a Proclamation for National Minority Health Month. 6. Consider Approving a Proclamation for Boys & Girls Club Week 2018. 7. Submission of Annual Written Report from Appearance Commission. Minutes from the March 27, 2018 regular meeting are provided for review and approval. 9. Presentation on Little Free Library Expansion Project. 10. Conduct a Public Hearing, Consider Adopting a Statement of Zoning Consistency, and Consider Adopting an Ordinance to Rezone 107 and 109 Beech Street from R-6S Residential and I-1 Industrial Districts to C-3 Commercial District. 11. Conduct a Public Hearing, Consider Adopting a Statement of Zoning Consistency, and Consider Adopting an Ordinance to Rezone 1225 S. Glenburnie Road from R-6 Residential and C-4 Neighborhood Business District to C-3 Commercial District. 12. Conduct a Public Hearing and Consider Adopting an Amendment to Article XXI, Section 15-463 “Design Guidelines and Performance Standards – Trent Road Corridor” of the Land Use Ordinance. 13. Conduct a Public Hearing on the System Development Fee Analysis and Consider Adopting a Resolution Approving the Analysis. 14. Consider Adopting a Resolution Approving the Conceptual Master Plan for Martin Marietta Park. 15. Consider Adopting a Resolution Authorizing the City Manager to Execute a Contract with Morton Trucking, Inc. for the 2018 Street Resurfacing Project and Any Changes Within the Budgeted Amount. 16. Consider Adopting an Ordinance for the Demolition of the Dwelling Located at 1607-1609 Dillahunt Street. (Ward 5) This matter was before the Board of Aldermen at its February 27, 2018 meeting. After hearing from the owner during that meeting, the Board tabled this matter to allow the City Attorney an opportunity to contact the Bankruptcy Trustee to ascertain the Trustee’s intentions regarding the property. Mr. Davis will be available to provide a verbal report of the status, if desired. 17. Consider Adopting an Ordinance Amending the 2017 Water Improvements Project Fund. 18. Consider Adopting an Ordinance Amending the 2017 Sewer Improvements Project Fund. 19. Consider Adopting a Budget Ordinance Amendment for the FY2017-18 Operating Budget. Nancy Gray has resigned from the Historic Preservation Commission as a result of relocating to a different city. Alderman Kinsey is asked to make an appointment to fill this vacancy.